The Department of Tourism, Heritage and Culture is calling on professional artists to submit proposals to design, create and install artwork at a new elementary school in Saint John, NB. The total project budget is $20,000 and the submission deadline for the Public Art Project is Friday, February 17, 2017 at 4:00 pm. 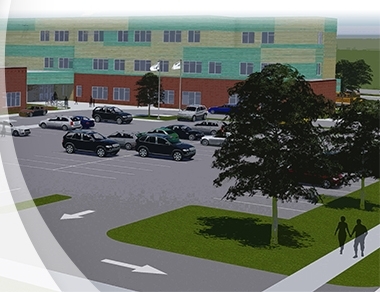 The new K-5 school will serve over 400 students, and teachers and staff in the Fundy Heights area of the city. This commission has a completion and installation deadline of December 2017. The commissioned art work should reflect the concepts of learning, community, and diversity. The school’s mission is to promote excellence in learning by recognizing the special nature of students of elementary school age in respect to their intellectual, physical, and social development.